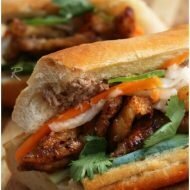 Please welcome the ever so crafty and delicious food blog, Kitchen Runway! 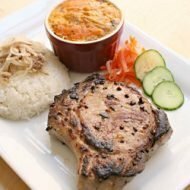 Authored by Quyen and Derrick, a wonderful couple that we’re lucky to call as friends, they focus on easy and simple recipes that not only tastes delicious, but looks delicious. We were so excited when Hong and Kim asked us to write a guest post. We are glad to be able to help them free up some time to plan and prepare for their big day. 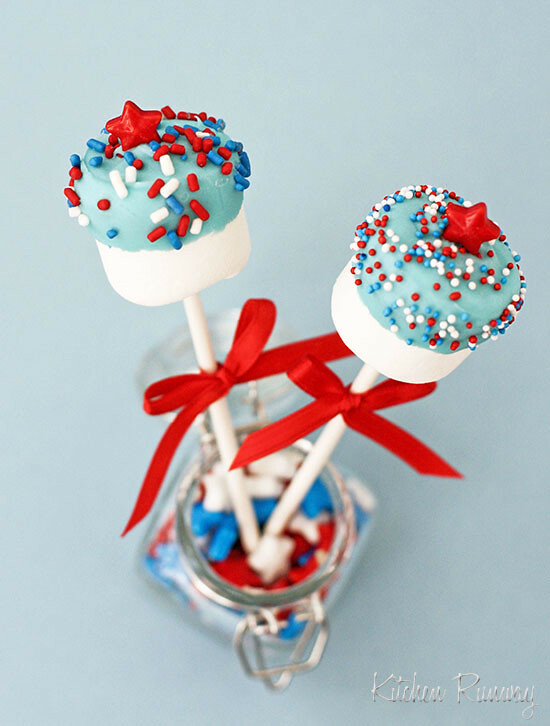 The 4th of July is around the corner so we wanted to share an idea for a 4th of July marshmallow pop. 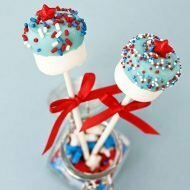 It’s a quick and easy “red, white & blue” treat that would be great for kids to help make and devour. 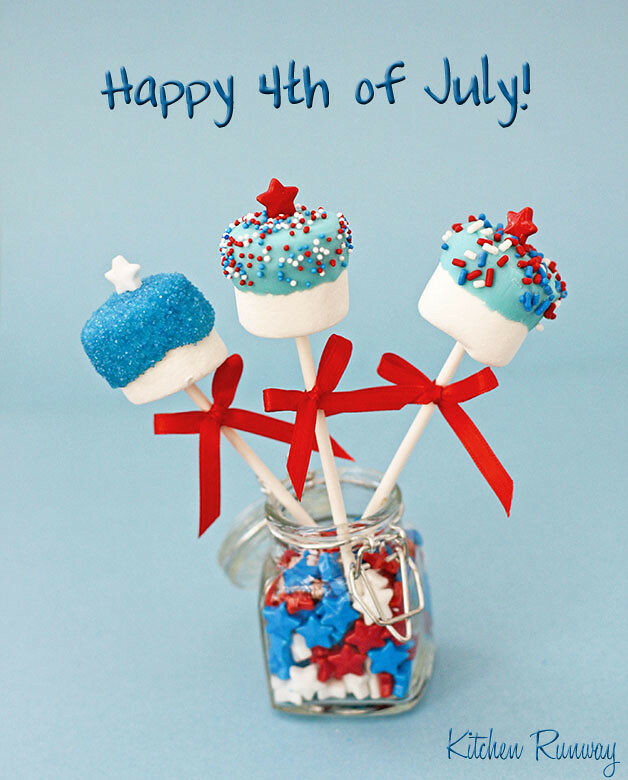 They’re a fun and festive addition to any 4th of July BBQ or party. Enjoy and Happy Independence Day! Insert lollipop sticks about 3/4 into large marshmallow and set aside. Place the candy melts in a microwavable coffee cup and heat 30 seconds on 1/2 power, stir until smooth. If it needs more time, put back into the microwave and heat for another 15 seconds on 1/2 power) You don't want to reheat too many times as the candy melts will become unstable; therefore, it's best to work in small batches. Dip marshmallow into candy melts about half way and gently twist the marshmallow to evenly coat the top half of the marshmallow. Decorate with sprinkles and top with a star. You may need to put a tiny bit of candy melt on the bottom of the star to adhere to the top of the marshmallow. Stick finished pop into a foam block to dry and set. This will take a few minutes. 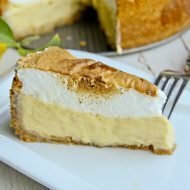 Visit Kitchen Runway for more delicious recipes! 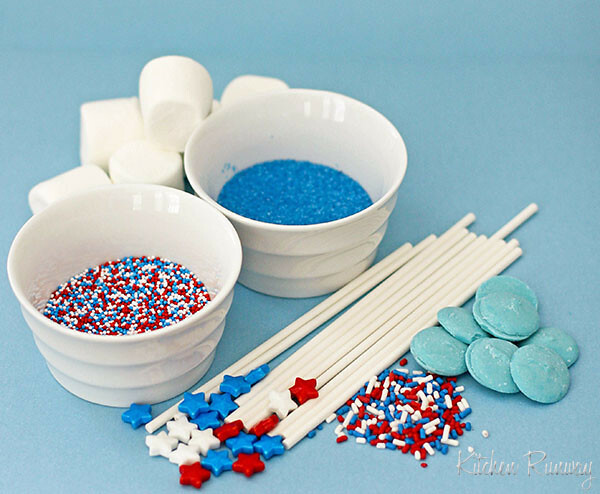 Those are so cute and easy- I think I am going to make them to bring to a 4th of July Party. A simple, yet cute idea! I love how easy it is to put together. Happy Weekend! So creative and so beautiful…. Such a cute idea! I am so making this for the 4th of July party at neighbor’s house tomorrow. Thank you! These look stunningly gorgeous! Cute too! Love them. Super cute Quyen!!! I love the colors (not just the red white and blue, duh) but the way you used them. With the light blue chocolate, and the red ribbon. Oooo, you could make s’mores pops with melted chocolate and graham cracker crumbs! I made adorable little pops like this covered in graham crackers for the best ever smoke-free s’mores!